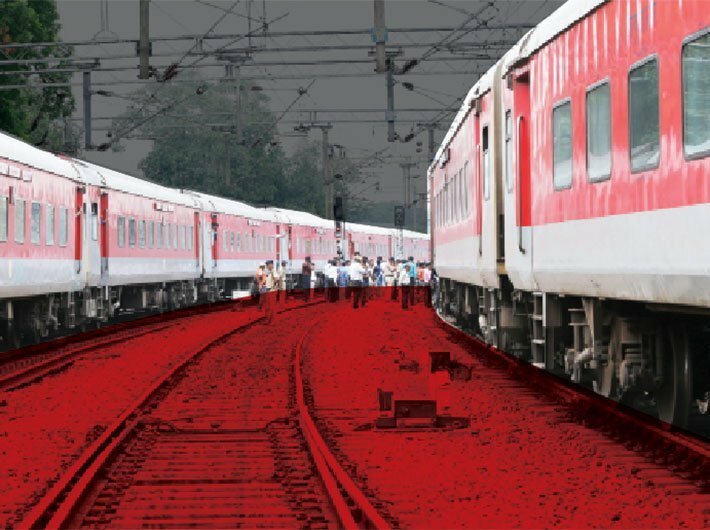 Railways has lagged behind due to inadequate investment, union minister Rajen Gohain informed parliament. The minister said that railways has a huge throw-forward in its capital expenditure program. Currently, the throw-forward in capacity expansion program is over Rs 4 lakh crores. Read: What’s ailing Indian Railway? Several committees including the National Transport Policy Committee, the Rail Tariff Enquiry Committee and the Railway Reforms Committee have also highlighted the shortcomings. Recent Committee headed by Bibek Debroy for “Restructuring and Mobilization of Resources” has recommended to explore sources of funding PPPs, JVs, -institutional finance, etc., in addition to the conventional mode of internal generation of resources. The minister said that a new source of funding viz. Extra-Budgetary Resources (Institutional Finance (EBR-IF in short) has been introduced with effect from financial year 2015-16. It is envisaged to mobilize funds to the tune of Rs 1.5 lakh crore through EBR(IF) for financing railway projects over a period of five years (2015-16 to 2019-20). The ministry of railways signed a Memorandum of Understanding(MOU) with the Life Insurance Corporation of India(LIC) on March 11, 2015 whereby LIC has agreed to provide funding assistance to the tune of Rs 1,50,000 crore over a five year period from 2015-16 to 2019-20 for financing railway projects. These funds will be routed through Indian Railway Finance Corporation who will finance the identified projects and lease them to the railways.